Barco, a leading global provider of visual display systems, has partnered with daytaOhio to implement the industry’s most advanced virtual collaboration and visualization complex at Wright State University’s Joshi Research Center. 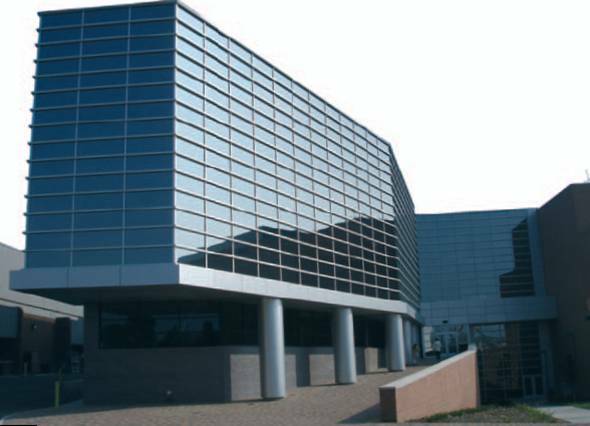 This multi-room, network-centric facility marks the first visualization center of its kind in the Ohio Miami Valley. 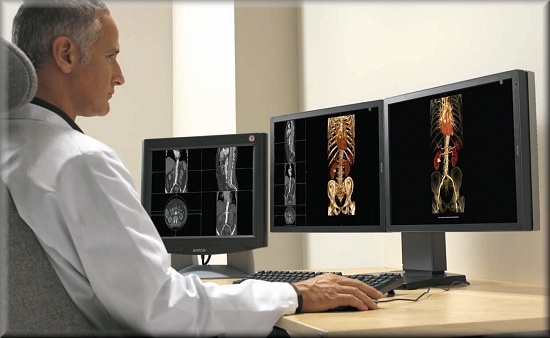 It is equipped with intelligent presentation systems and large-scale, immersive virtual reality technology for virtual collaboration, analysis, and decision making. Some of the work done by Wright State researchers will support applied research for members of daytaOhio (the Ohio Wright Center for Data), a non-profit corporation that supports a consortium of organizations, civilian and military, working to resolve the complexities of large-scale data management issues. “The Joshi Research Center solution demonstrates what Barco is all about,” said Ken Hunter, director of marketing, virtual & augmented reality for Barco. Excellent visualization is crucial to the success of the high-end data management and analytics center of daytaOhio housed in the Joshi Center. The visualization facility is equipped with a comprehensive and sophisticated visual system consisting of Barco’s CADWall system, I-Space immersive virtual environment, and network-centric presentation system. According to Cashen, the broader use of the Internet, advancement of technology/miniaturization and globalization contribute to a glut of data that paralyzes decision-making in organizations. 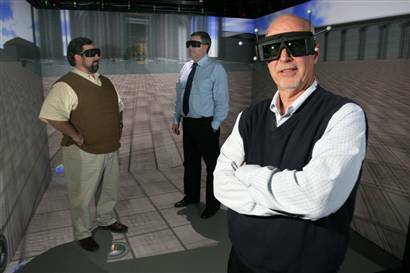 daytaOhio President, Paul Cashen, wears 3D glasses along with Ken Berta, back left, and Ken Hunter - director of marketing, virtual & augmented reality for Barco - back right, in the 3D room at the Virtual Reality lab in the Joshi Center at Wright State University. At the Joshi Research Center, Room 278, a data-crunching, virtual-reality hub, visitors are immersed in a dizzying array of computer-generated 3-D images. Long a darling of the military, aviation and video-game industries, virtual reality is being embraced by more businesses as the falling cost of computer power makes it more affordable. 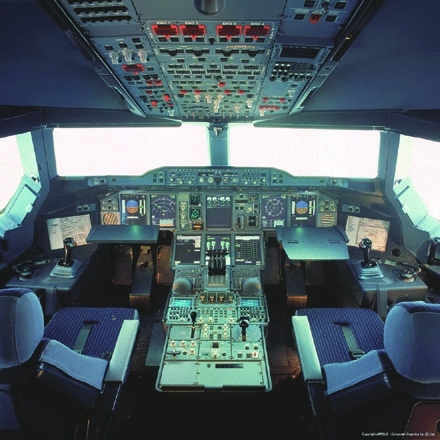 Manufacturers of farm equipment, car seats, mufflers and other products have joined automakers and aircraft manufacturers in using the technology to speed up and improve product design, train workers and configure factories and stores. The $2 million Vis Lab at the Joshi center opened in October at Wright State University just outside Dayton, allowing businesses to outsource virtual-reality work without having to buy the technology themselves. Companies pay $1,000 a day to use the lab and its high-powered computers. The floor of the Gulf of Mexico floats in the air there on a screen 8 feet by 14 feet — about the size of a small billboard — awash in the glow of a deep-sea blue. It twists and turns, revealing cracks and fissures. Then it nearly pokes the viewer in the eye — or seems to. A Houston energy company this year will feed seismic data into the center's computers. The company will sink virtual probes through the virtual crust looking for salt domes that may hold oil deposits. That could give the business an idea of where the oil is — or isn't — and save millions of dollars in drilling costs. In virtual reality, high-performance computers connected to projectors throw alternating left-eye-right-eye images of a 3-D object on a large screen in a way to create depth. Viewers wear specialized light-polarizing glasses that synchronize the images to complete the 3-D effect. 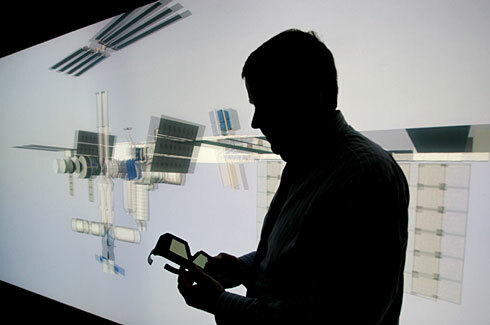 In immersive visualization, images are projected on all four walls, the ceiling and the floor. As viewers move and turn their heads, the images change to create the illusion of walking or floating. Farm equipment maker Deere & Co., based in Peoria, Ill., is using virtual reality at the Iowa center and its own labs to test-drive products not yet built and make sure the equipment will be easy to maintain. "These experiences help identify design problems with products or work environments that traditionally might not have been noticed until prototypes were built," company spokesman Ken Golden said. "Our vision in VR is to have only one physical build of our products before we move into production." Mechanical simulation — which is used, for example, to predict the crash worthiness of a new car design — is a $1.5 billion business and is growing at 10% to 12% a year, said Marc Halpern, research director at Gartner Inc. He says using virtual reality is less expensive and quicker than building and testing complex prototypes. Virtual-reality systems gained popularity in the 1980s, but they usually required clunky headsets that produced fuzzy images and a stuttering effect as the computers struggled to spew out the data necessary to create the effect. Now, advancements in projectors, computer software and graphics cards can produce higher-resolution images, and the computer power needed is cheaper. Automakers and aircraft makers began using virtual reality and immersive visualization in the early 1990s. The military embraced it at about the same time and has since used it to train pilots and tank operators and to improve the design of aircraft, helmets and uniforms. Imagery that once required a million-dollar supercomputer can be done with a cluster of desktop computers costing less than $100,000, said Jeff Brum, vice president of development for Fakespace Systems, a Marshalltown, Iowa-based company that sells virtual-reality systems to businesses and researchers. Monica Schnitger, senior vice president of market analysis for the technology research firm Daratech, said immersive visualization is becoming more widely used by large companies. 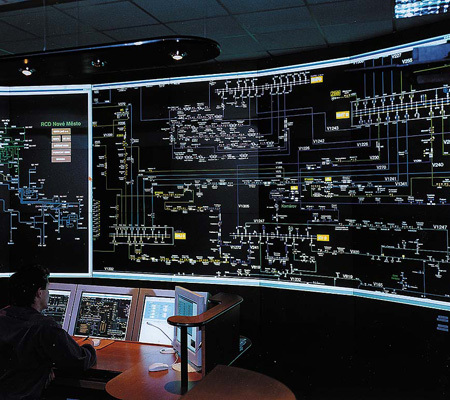 Prospective owners of power plants and ships have used it to experience what it is like to walk through the control room, for example. 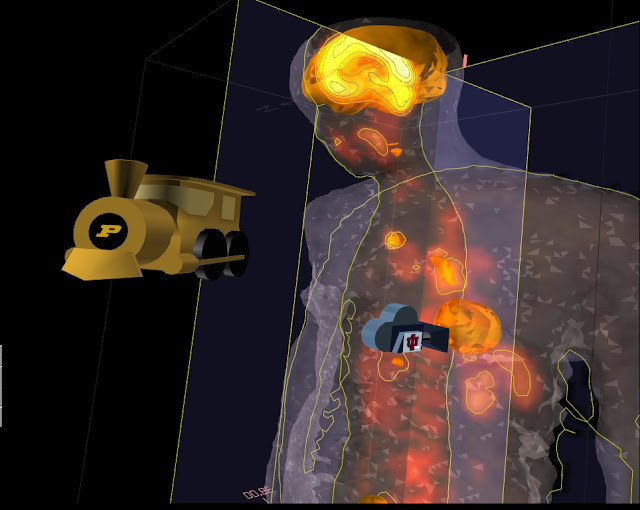 "Simulation of almost any kind usually leads to a better end product, and that's always a good strategic move," Schnitger said. 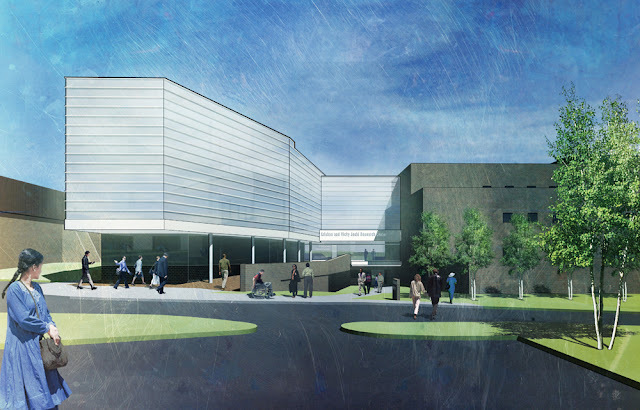 A nursing institute and a company that handles hazardous materials have expressed interest in using the lab at Wright State for training, said Paul Cashen, president of daytaOhio, the research group that operates it. Trucking companies are using virtual-reality simulators around the country to train drivers before they take their driving tests. The virtual cab, which in some cases is attached to a motion platform, enables drivers to practice turning, parking and docking and puts them through driving scenarios in cities, the suburbs and rural areas, said Ron Tarr, a program director at the Institute for Simulation & Training at the University of Central Florida, who has designed applications for the simulators. Since the technology was rolled out two years ago, more than 450 drivers have used it, at truck depots in Florida, Georgia, North Carolina and Wisconsin. In some cases the virtual reality is a little too real. Some drivers get carsick. Werner Enterprises, an Omaha-based trucking company with 12,000 drivers, sends 30 drivers through a simulator each week to improve their skills. In the simulator, winds blow hard, ice and snow fall, accidents happen and deer run across the highway. 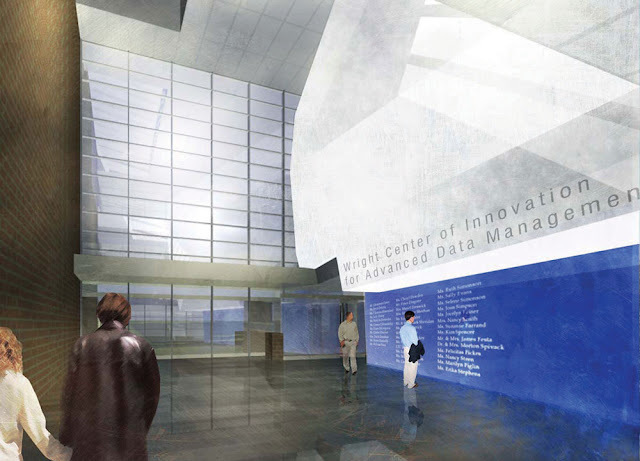 The Joshi Center, which opened on October 27, is a state-of-the-art facility dedicated to advanced data management. Funded in part by Ohio Gov. Bob Taft’s Third Frontier Initiative, The Joshi Center houses daytaOhio and several departments of the Wright State School of Engineering. 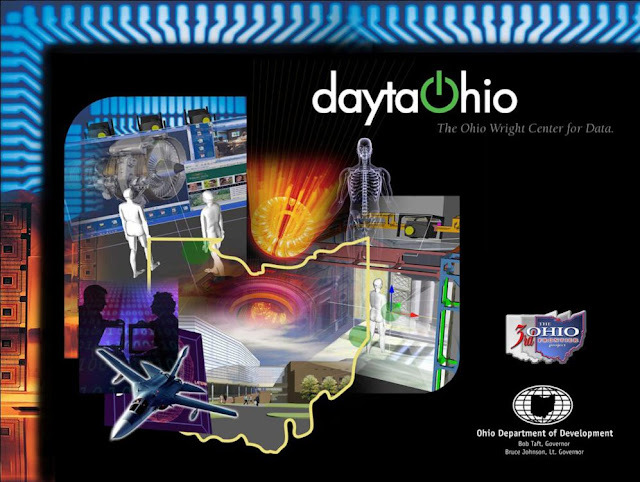 daytaOhio is an independent, world-class center for advancing research and commercialization of data intensive information technology. Wright State University is the lead research collaborator daytaOhio has targeted a $50 billion market opportunity and is driving technology job creation, economic development, global market research and world-class commercialization growth models. The State of Ohio provided $12.6 million to establish the organization as part of Gov. Bob Taft’s Third Frontier Project, managed by the Ohio Department of Development. 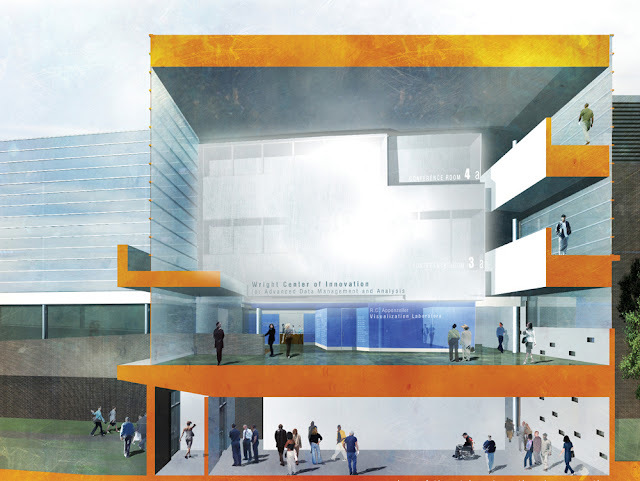 More than 27 industry, academic, government and non-profit partners have pledged more than $32 million in support for the center.